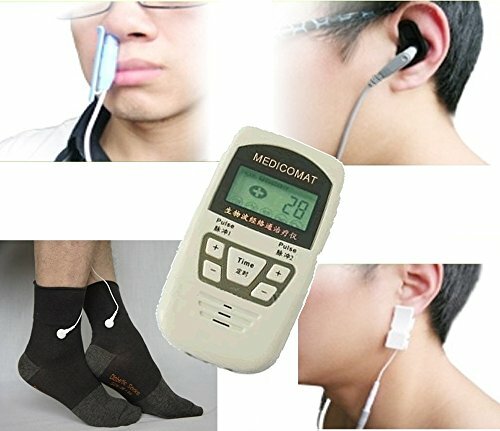 Ear Acupuncture for Diabetes Hypertension * Fully Automatic Treatment at Home * Medicomat ear acupuncture provides a fully automatic treatment for the whole body, complemented by the effects of body acupuncture massage through the electrode pads. Auto-selection of acupuncture points * Simply insert the ear-fitting electrodes into the ears and apparatus will fully automatically find and treat all that is needed through ear acupoints. The user does not need to have any knowledge of acupuncture, and the only action he or she needs to take is the adjustment of the intensity of the pulse according to his or her tolerance.